You might be surprised to discover that these women did not mean to show their support for the Christian craft store. I suspect they were confused (as we all are from time to time, especially when we’re carrying posters). 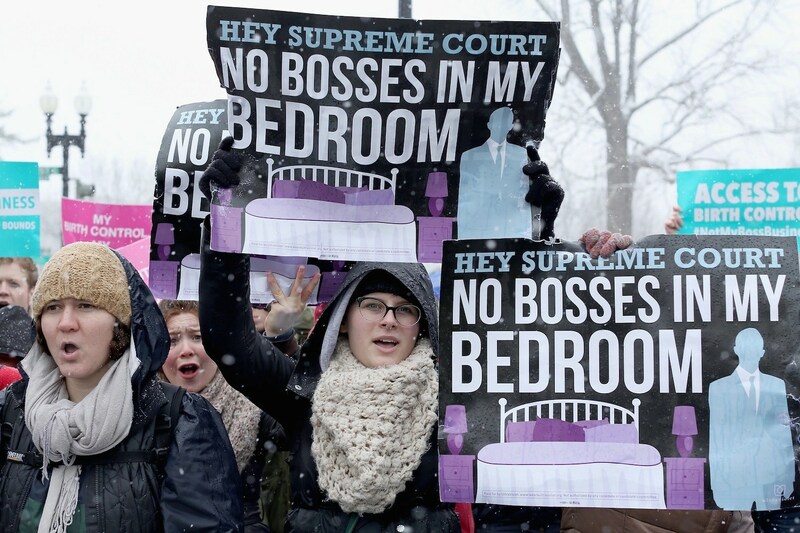 Regardless of their intent, perhaps both Hobby Lobby and its past critics can come together in appreciating one consequence of today’s decision: one more boss is out of the bedroom.